Communication is the key to any relationship and it is especially important between practices and clients. In Zurili communication can be accessed easily and quickly from the cloud network. In every clients record a complete communication history is recorded. This includes incoming and outgoing cloud calls, calls from the concierge, incoming and outgoing text messages, online bookings, online reschedules and client records like notes, documents and images, all directly in the clients record. These records are what we call your unified communication. Memory management in business is the unfortunate practice of depending on an individual’s memory to know what has happened before and make correct decisions. It’s a poor strategy because, well… people forget. And they mess things up in their mind. Of course the person with the memory must be present for it to actually be useful. And if they leave the business they take all their memories with them. Complete communication logs, totally eliminates the need for memory management. When you take a call, you know who is calling even before you answer. You can see what communication has taken place and when. If you have pictures you can see that too. 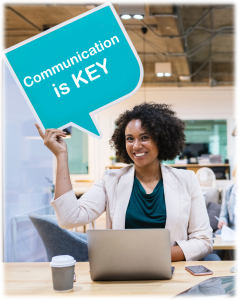 This connects you immediately with the call and allows even new staff to be able to handle the caller with certainty. Check out the cloud calls video so for a preview of unified communication in Zurili.